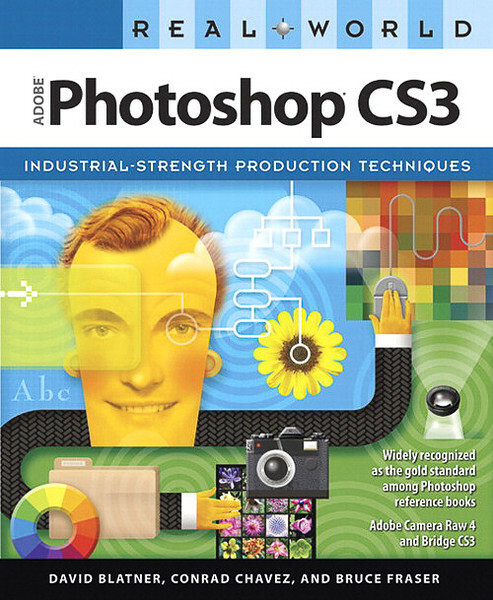 This classic Photoshop reference reinforces valuable techniques and tips with fundamental concepts for digital imaging, prepress, and color management, designing an efficient processing workflow, and maintaining image quality from editing to final output. Learn about managing color, correcting colors, capturing images, getting great scans, and more. Coverage of CS3 features includes: nondestructive Smart Filters, Quick Selection and Refine Edge tools, improved Curves, automatic layer alignment and blending, and more. Co-authored with graphics veteran David Blatner and color expert Bruce Fraser.